Tom Lammon founded the Mystics in the small community of Midland, SD but the story behind the beginning is very unusual. After hearing a Chet Atkins song on the radio, he knew he wanted to learn to play the guitar. Tom's mom played guitar and showed him some of the basic chords. An evangelist came to town and conducted services for two weeks, which Tom attended. The preacher played the guitar and gave Tom some pointers. But Tom credits Pete Fosheim as perhaps his biggest influence as he was responsible for helping Tom learn the Chet Atkins style. For months Tom, Pete and a drummer worked The Central Bar once a week. Tom would pay them each with a ten dollar check. He discovered extra money in his checking account and found out Pete wasn't cashing his checks. Pete said, "if I start playing for money it would take away the enjoyment and it wouldn't be the same." Eventually Tom formed a new group called the Mystics. Many of their early jobs were in Pierre, where they played for thirty dollars a night and that included a 120 mile round trip drive. The group only had one mike, which they borrowed from the catholic priest. Tom attended college in Aberdeen and formed a new Mystics in 1962. Early members included Galen Arbogast on bass, Bob Ditmanson on drums and Chuck Robertson on rhythm guitar. He was able to recruit Bill Lebold and Hank Bowker, two local guitar players. As the band perfected their sound, they built up a loyal following in a five state area, grossing over $60,000 the first two years. That's allot of money considering some nights they would play for less than $100. One summer they did 29 grueling one nighters in a row, often driving for hours after a show. 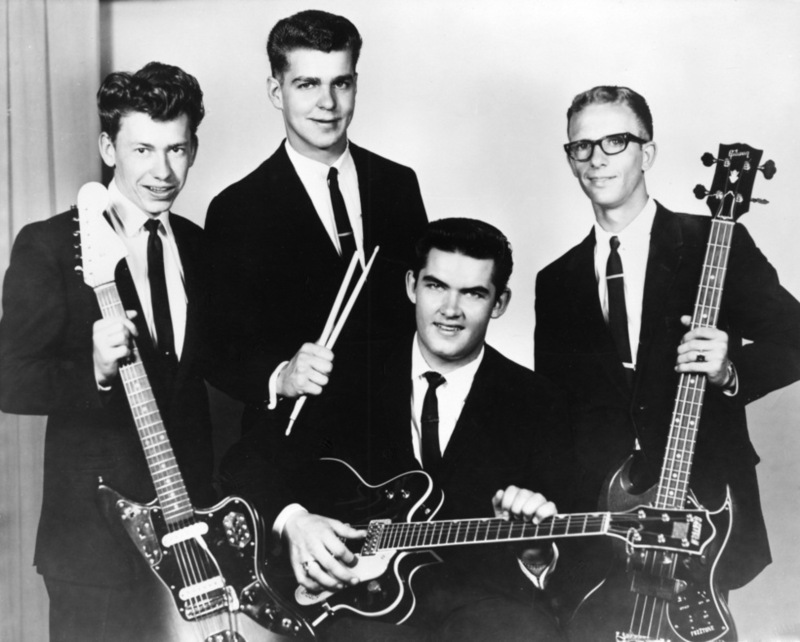 Drummer Steve Bergerson was added to the mix and in the mid 60's the Mystics worked with a group from England, the Hullaballoos, who had their own tv show. They also opened for the Everly Brothers. The group received the National Ballroom Operators Award in the mid sixties. They also recorded numerous 45s in Minneapolis, including "Crying Over You", a regional number one song. One of Tom's favorite stories was when the Mystics played at Shorty's Club in Sioux Falls. As they were setting up, the bouncer came over and said, "when you start playing, if you are too loud, I will flash my flashlight once, if I have to flash it twice, you can start tearing down." Another memory, from the Arkota Ballroom was having to stop playing in the middle of a song because they were forced to show their union cards. Original drummer, Bob Ditsmanson, lives in California; Steve Bergerson is an attorney in the Twin Cities, and Bill Leopold passed away several years ago. Galen Arbogast lives in Nebraska. Hank Bowker and Gordy Zens both live in Aberdeen and still play. Tom has been playing country music for the past sixteen years. For five years he traveled with the Joe and Rose Lee Maphis Show from Nashville. Tom and his wife Joni are currently in a country band called Independence and play throughout a three state region. The Mystics left their mark as one of the most successful and talented bands to ever come out of South Dakota.